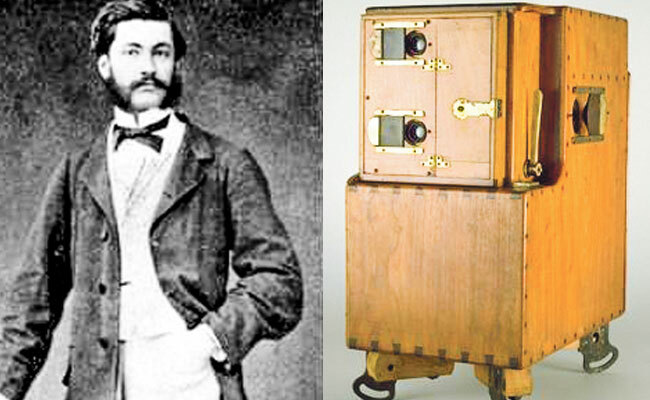 Inventor Louis Le Prince could have been one of the most influential Frenchmen of the 19th century, but even though he was light years ahead of his time (and even created the world’s first moving picture), you’ve never heard of him. Why? Because he disappeared from a moving train. Le Prince was on his way to America in 1890 when he checked his bags and boarded a train from Dijon to Paris. When the train arrived, Le Prince was nowhere to be found. The windows in his cabin were locked, no one heard a thing, and – get this – his luggage was missing as well. The entire train was searched, with hide nor hair of the luggage or the man found. Theories range from family financial trouble to Le Prince committing an elaborate suicide (even though he was on his way to brag about the breakthroughs he’d made in his field). There is even a question of whether American competitor Thomas Edison could have been involved. Le Prince and Edison were in direct competition, with the American inventor blocking Le Prince’s patents in the U.S., and Le Prince returning the favor by leaking Edison’s camera designs in France before Edison could obtain European patents. Despite the fact that there was no love lost between the two men, there’s nothing that connects Edison to the disappearance. Furthermore, we still don’t have the slightest idea how the man disappeared.